Ya van desplumados. (There they go plucked (i.e. 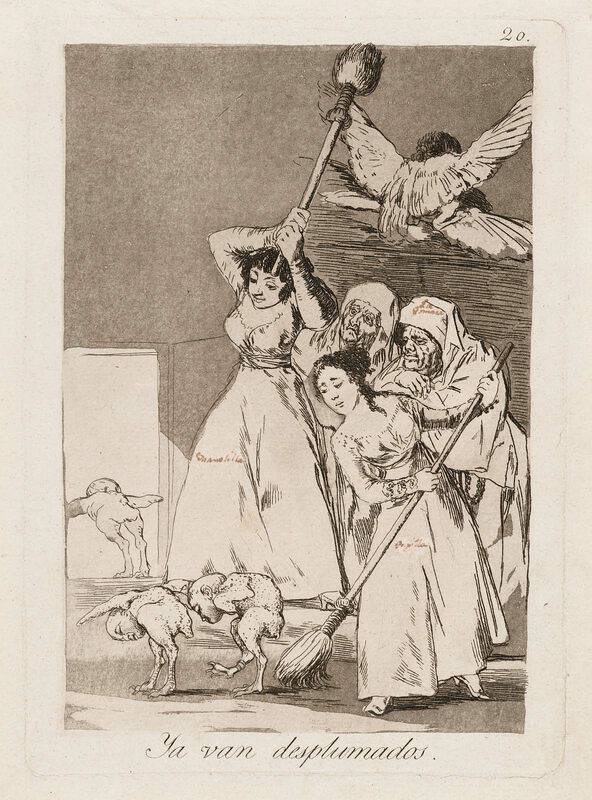 fleeced); Plate 20 from the series "Los Caprichos"
Etching, burnished aquatint, and drypoint; first edition, with handwritten annotations in brown ink.